Thrive Pinto Beans are a well-known food storage staple. By combining cooked beans with a variety of spices, meats, and vegetables, you'll quite literally have an endless supply of possible meals at your fingertips. Every time you eat a serving, you'll feel good knowing that you're helping your body out with a fantastic amount of dietary fiber. 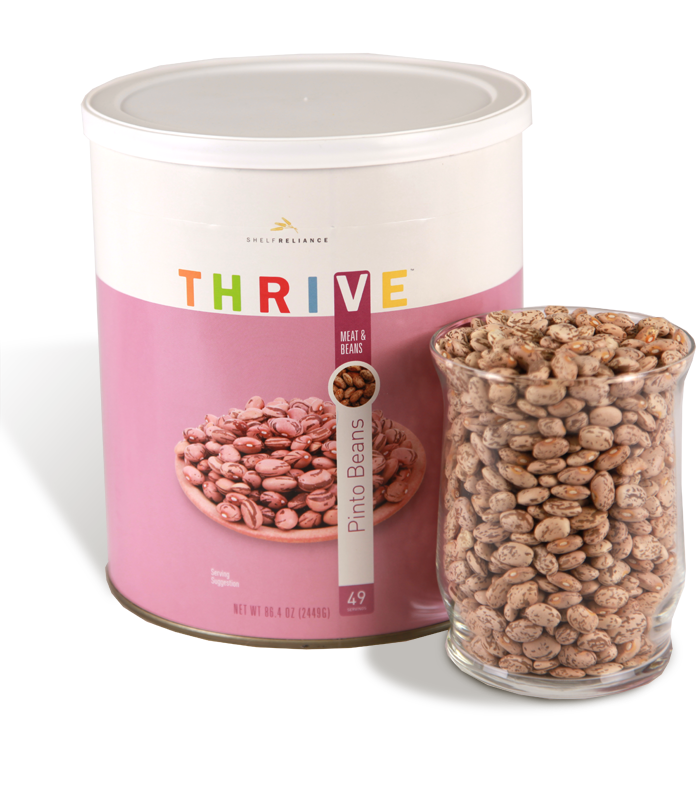 Enjoy the taste, value, and nutrition of Thrive Pinto Beans. Clean and rinse beans, then allow them to soak overnight in 4 cups of water for every cup of beans. To accelerate, use hot water and soak at room temperature for 2-3 hours. Drain and rinse soaked beans, then cook in salted water or stock for 2-3 hours or until tender. Use in Mexican dishes and cold bean salads, or to bulk up soups and stews. When deciding how much to cook, remember that dry beans gain 2-3 times their volume after cooking. Add ham bones, onions, bouillon, garlic, etc. to the water before cooking to get deeply infused flavors.